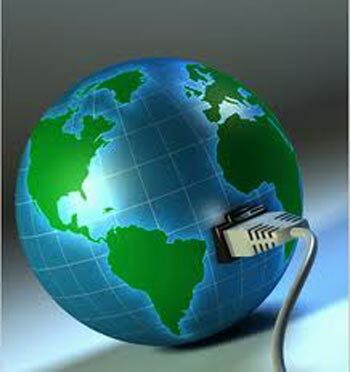 Rediff.com » Business » The fastest Internet in the world! The fastest Internet in the world! 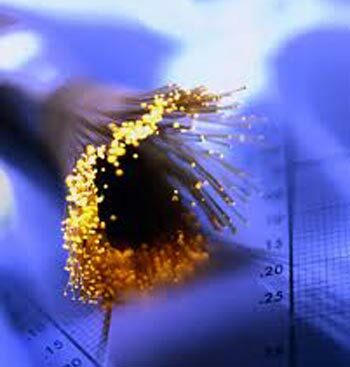 The fastest broadband city in the world is Masan in South Korea, according to an analysis. The data, from network giant Akamai reveals the average global net speed is only 1.7 Mbps (megabits per second) although some countries have made strides towards faster services. And Masan in South Korea stands at the top with Internet speed of 12 Mbps. At the second spot is Hong Kong with 9 Mbps, followed by Japan with 7.8 Mbps. Rounding up the top 5 are Romania and Latvia with 6.3 Mbps speed each. In the speed league table, the UK is ranked 27th out of 201 countries, with an average speed of 3.8 Mbps. This is below the 5.2 Mbps average speed calculated by regulator Ofcom in its annual broadband report. 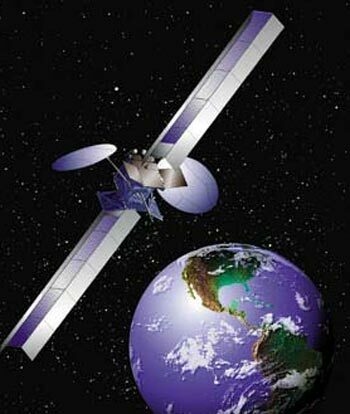 "Other countries have got faster," the BBC quoted David Belson, head of market intelligence at Akamai, as saying. 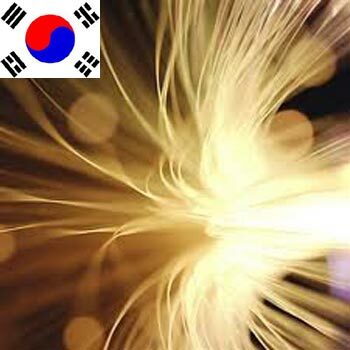 Even in South Korea, which tops the speed league table and is often perceived as enjoying super-fast broadband as the norm, the average speed is a relatively slow 12 Mbps, with the average maximum hitting 33 Mbps. "100 Mbps is available in South Korea but it is often at prices that are not affordable by the general public. It can cost several hundred dollars a month," said Belson. Asia dominates the list of fastest wired cities with more than half of the top 100 cities in Japan. Only 12 US cities make the list. Click NEXT to find out the 10 nations with fastest net speeds. . .
All the top twenty cites were in either Japan or South Korea, with the exception of Umea, in Sweden, which was ranked 18th. Other European cities in the top 100 included Baden-Baden in Germany, Wageningen in the Netherlands and Timisoara in Romania. Apple on Tuesday launched Magic Trackpad. This device is already being dubbed the 'mouse killer. The Magic Trackpad has been priced at $69 and is available in the online Apple Store. The battery-powered device, which looks a bit like a notepad made out of glass and aluminum, connects to Apple's Mac desktop computers using Bluetooth wireless technology, reports say. Apple said it works from as far as 33 feet (10 meters) away from the computer. Meanwhile, Apple also launched its new iMac desktop computers that have more powerful processors, 21.5-inch and 27-inch screens. The new iMac costs between $1,199 and $1,999. NEXT: Now eco-friendly fuel from butter? Now eco-friendly fuel from butter? In the search for new raw materials for making biodiesel fuel, scientists have now closed in on an unlikely farm product -- butter. 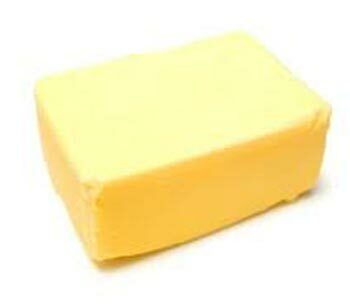 In a new study, researchers have claimed that butter could be used as an eco-friendly feedstock, or raw material, for making diesel fuel. Michael Haas and colleagues cite rising global demand for biodiesel, and the desire to expand the feedstock base, as motivating factors for their research. As researchers seek additional and affordable feedstocks for biodiesel production, scientists turned to butter, one billion pounds of which are produced annually. In an effort to find out if surplus, spoiled, or nonfood-grade butter could be used to make biodiesel at competitive prices, scientists recovered the fat from a quarter-ton of butter and converted it into the fatty acid esters that constitute biodiesel. They found that the resulting material met all but one of the official test standards for biodiesel. The study has been published in ACS per cent bi-weekly Journal of Agricultural and Food Chemistry. 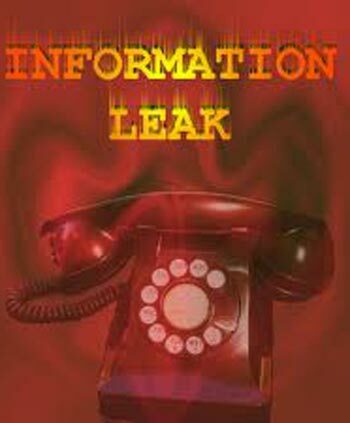 Russia experiences the maximum Internet attack traffic, such as phishing and spam, in the world, according to a study. With 12 per cent of attack traffic, Russia has topped the list that features over 200 countries. According to the data, from network giant Akamai, the United States stands at second position with 10 per cent of such traffic. At the third spot is China with 9.1 per cent of attack traffic, reports the BBC. Rounding up at fourth and fifth position is Taiwan and Brazil with 6.1 and 6 per cent of such traffic. Akamai delivers between 15 to 30% of all internet traffic. In the first quarter of this year, over 487 million unique IP addresses from 233 countries or regions connected to its network. 1. Russia 12 per cent. 2. US 10 per cent. 3. China 9.1 per cent. 4. Taiwan 6.1 per cent. 5. Brazil 6.0 per cent. 6. Italy 4.4 per cent. 7. Germany 3.9 per cent. 8. Romania 3.2 per cent. 9. Japan 2.9 per cent. 10. Poland 2.4 per cent. The personal details of 100 million Facebook users have been collected and published on the Internet by a security consultant. A list has been complied by Ron Bowles, who used a piece of code to scan Facebook profiles, and collect date not hidden by the user's privacy settings. The downloadable file contains the URL of every searchable Facebook user per cents profile, their name and unique ID, and Bowles said he published the data to highlight privacy issues. On the Pirate Bay, the world per cents biggest file-sharing website, the list was being distributed and downloaded by more than 1,000 users, and it has spread rapidly across the net. Facebook issued a statement saying that the information in the list was already freely available online. "People who use Facebook own their information and have the right to share only what they want, with whom they want, and when they want," the BBC quoted the statement as reading. "In this case, information that people have agreed to make public was collected by a single researcher and already exists in Google, Bing, other search engines, as well as on Facebook. "No private data is available or has been compromised," the statement concluded. Simon Davies from the watchdog Privacy International said that Facebook had been given ample warning that something like this would happen and that it should have taken measures to prevent it. "It is inconceivable that a firm with hundreds of engineers couldn per centt have imagined a trawl of this magnitude and there per cents an argument to be heard that Facebook have acted with negligence," he said. Davies also added that the trawl of data fed into "the confusion of the privacy settings", and that the default settings should be changed. "This highlights the argument for a higher level of privacy and proves the case for default nondisclosure," he stated. An American company has taken the 'do-it-yourself' concept to a completely new level - the firm is selling kits to build and fly small satellites for as much as $8,000 (Rs 373,280). Randa and Roderick Milliron, a Mojave, Calif.-based couple, are the brains behind the programme they named TubeSat. The duo have been developing a bare-bones, low-cost rocket system for the last 14 years. The first of four suborbital test flights is slated for August and there are customers for those as well. "The acceptance and enthusiasm has been overwhelming," Discovery News quoted Randa Milliron, chief executive of Interorbital Systems, as saying. The customers include hobbyists and universities, including the Naval Postgraduate School in California, Morehead State University in Kentucky, and the University of Sydney in Australia. "There per cents been a massive number of shelved experiments, caused by a dearth of low-cost launch systems. This is an opportunity for the academic community to fly affordably," Milliron said. Interorbital per cents rocket, the Neptune, will place up to 32 TubeSats and 10 slightly larger off-the-shelf spacecraft called CubeSats into orbit about 192 miles above Earth. Launches will take place from the island of per centEua, located in the Kingdom of Tonga, in the South Pacific. 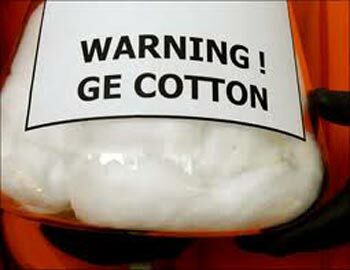 One of the first genetically modified crops, Bt cotton, has been the source of increasing employment for Indian women, says a new study. Dr Arjunan Subramanian of WMG (Warwick Manufacturing Group) in the University of Warwick said that the crop generated not only higher income for rural workers but also more employment, especially for hired female labour. The additional employment has raised the total wage income by $40 per hectare -- the largest increase amongst women being gain of 55 per cent in average income. "We also found that the use of Bt cotton also improved female working conditions as the reduction in the amount of family male labour involved in scouting and spraying for pests meant that that labour was reallocated to other household economic activities, previously carried out by female family members, increasing the returns to this labour category," Nature quoted Subramanian as saying. The study village, Kanzara, is located in the Akola district of Maharashtra, the state with the largest area under cotton in India. The research has been published in Nature Biotechnology.